Diet plays a crucial role in the formation of excessive gas in the intestine that is responsible for abdominal bloating, stomach pain, flatulence or belching. We should bear in mind which food should be eaten, which food should be discarded or how to prepare meals to avoid or reduce flatulence. There are some other fruits we should be cautious with, especially if we are not accustomed to them, such as apricots, bananas or prunes. It is not advisable to put them aside completely because they are rich in fiber, vitamins and other components capable of preventing many diseases. Fiber is necessary for good intestinal peristalsis. However, a high intake of this principle in people who are not accustomed, or in those who do not accompany the fiber intake with a high amount of water, can promote the emergence of gases. People not accustomed to eating plenty of fruit will suffer from bloating if they eat it excessively at the beginning. Getting used to it gradually is the best way for the body to become accustomed to bigger amounts without reacting to this high consumption. Particularly interesting fruits are pineapples, papayas and kiwis. They are rich in enzymes that help digest food better. Pineapples contain bromelin, an enzyme capable of digesting protein that can also be used to our advantage to remove microorganisms and parasites inside our body. 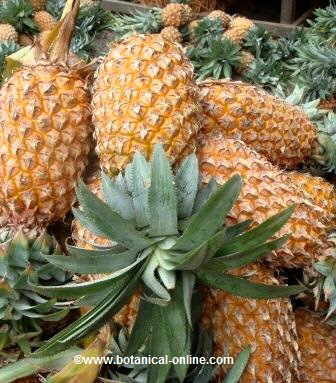 That is the reason why pineapple has a purifying function of the digestive tract. It helps remove bacteria causing intestinal putrefaction, responsible for the appearance of pain in the intestines and diarrhea. Papayas are rich in a component called papain or papayotin. Papain is an enzyme with similar properties to pepsin (enzyme that is part of the gastric juice) or trypsin (enzyme that is part of the pancreatic juices). Similar to these enzymes, papain attacks food proteins producing their destruction. 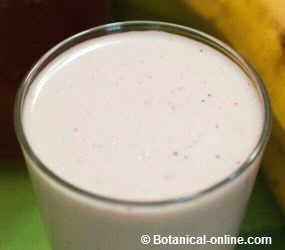 Bromeline of pineapple, actidin from kiwi and ficin from figs are known as proteolytic enzymes. They are of great interest in nutrition because they help break proteins and promote digestion, avoiding gastritis and the formation of gases. Yogurt increases the formation of beneficial bacteria in the intestine, which neutralizes the growth of other bacteria responsible for intestinal putrefaction. Eating this food every day will help reduce the flatus. In case of not taking this food directly, you can take some acidophilus capsules combined with bee pollen. These supplements help to reduce flatulence and decrease odor from them. Some herbs help remove excess gases, reduce intestinal inflammation or prevent the formation of excessive gases. Some carminative herbal preparations done with medicinal herbs such as rosemary, fennel, sage, coriander, pepper, etc. 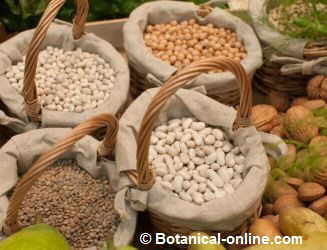 help to expel the gases produced by legumes. Combine these herbs with the flatulent foods will provide an extra flavor to them and help the person to avoid bloating. This group of vegetables is rich in carbohydrates (Stachyose, raffinose, verbascose, etc.) which are complex carbohydrates rather difficult to digest. Waste not digested in the intestines is attacked by bacteria that decompose it and produces gases. Among the most flatulent legumes we have peas, beans, broad beans and soy. It is said that people who suffer from bloating should dispense them, but putting them aside entirely will suppose to stop eating some very beneficial foods. Those people usually suffering much discomfort when eating legumes should reduce their intake and prepare them so that they may cause the less possible effects. Cabbage and plants belonging to cabbage family (Cruciferae) have always had the reputation of being very flatulent. People with bloating problems should reduce the intake cabbages, Brussels sprouts, bróculis, the cauliflowers, and other Cruciferae. Adding carminative herbs will help to expel gases generated by these vegetables. Benzyl isothiocyanate is responsible for producing so many gases, although it is a very interesting component since it has been demonstrated a potent anti cancer, by means of inhibiting the growing of cancerous cells. Radishes produce flatulence in some people. Onions contain two components, benzyl isothiocyanate-and xylitol, which give them flatulent properties. Xylitol is also responsible for the flatulence that carrots produce in some people. People prone to flatus or bloating should be cautious in the intake of these foods. Apples contain a lot of gas.. It is believed that 20% of its weight is gas. Eating apples can greatly increase the gas content in the intestine, but by rejecting the apple we get rig of one the richest pectin source. 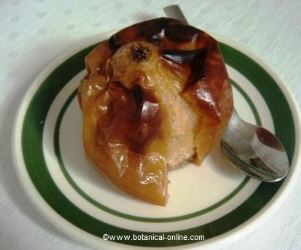 Pectin is a type of soluble fiber highly recommended to avoid constipation. Constipation is also responsible for intestinal putrefaction that generate many gases. We must not forget that apples are very rich in malic acid and quercetin. These components possess bacteriostatic properties, that’s to say, they are capable of inhibiting the development of harmful bacteria, which in many cases are responsible for the formation of intestinal putrefaction that causes gases, poor digestion, colitis and other intestinal problems. Since we should not avoid eating apples, the best solution will be to eat this food slowly chewing well to allow time for the gases to be expelled from the mouth before eating. People with lactose intolerance are unable to digest milk well because they have low lactase levels, an enzyme needed to digest this food. People with this disorder should avoid milk or its derivatives, except yogurt that can be eaten in small quantities. Drinking milk often also produces gases to the rest of the people who do not have this food intolerance,, so they should decrease the amount of milk or dairy products or mix them with other foods. As a substitute for animal milk we have the soy milk that is lactose free suitable for those who can not take dairy products. Foods containing gluten (wheat, rye, barley and oats) produce flatulence in people with intolerance to this component, but can also produce similar results in others who do not have gluten intolerance. By reducing the amount of bread or products made from flour of these cereals, many non celiac people have diminished their usual bloating. These people should reduce their intake of foods with gluten and replace them by other cereals such as rice. In spite of corn doesn’t contains gluten, it is not appropriate because,, of its content in raffinose and sucrose, which make it flatulent. The ingestion of pure bran, containing no soluble fiber, as something usual in the diet is responsible for many cases of flatulence. People suffering from bloating should choose eating fruit or vegetables instead because they are richer in soluble fiber. If you happen to take big quantities of bran it is necessary for you to drink a lot of water. Drinking beverages such as lemonade, beer, soda water, sparkling mineral water, sparkling wine, champagne, and other soft drinks can increase the level of gases in your digestive track because they contain carbonic acid Some drinks rich in caffeine such as coffee, tea or colas flatulence produced by irritation of the colon. Some sweeteners, like sorbitol, are responsible for producing a large volume of gases. These sweeteners are sugar substitutes and they appear in many soft drinks or chewing gums. The habit of chewing gums also helps to introduce more air in the normal intestine. The person with a tendency to suffer from flatulence should reduce the intake of these products and check out whether his or her level of gases decreases. More information about flatulence natural medicine.